The Vitality UK Member app, as some of you many probably know, allows you to track your vitality points as well as enjoy the active rewards. But the newest update – which lands just today – has broken the app. The Member app is now crashing while logging in and throwing an error notification. It can be clearly seen under the Updated section of the app’s Play Store listings page (here)and the Version History section of the app on the App Store (here) that the Member app (both Android and iOS) received an update a few hours ago, and since then the crash-related complaints are proliferating. @Vitality_UK Just updated my App on my Iphone (cause it told me i had to) and its not working. Saying an error has occurred. Please restart or try again. Have done both and its still not working. Can you help? @Vitality_UK have updated the app as requested and now it’s not working since updating and keeps saying refresh, is there a problem? @Vitality_UK you’ve updated your App and now it won’t open. @Vitality_UK another wonderful app update! Who are you actually employing in your tech team? 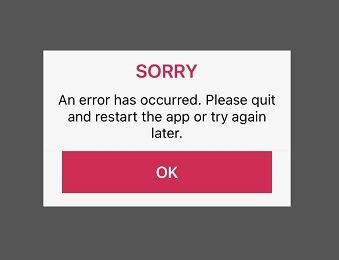 @Vitality_UK Are there issues with the iOS app following its last update? I can log in, but my details do not load, then the app crashes. Have closed app and rebooted phone. We are aware of an issue with the Member App which we are working on as a matter of urgency. Hi Paul. We are aware of an issue with the Member App which we are working on as a matter of urgency. We are hoping to have this fixed later today. Thanks for your patience. – Andy. If you'd like to order an Apple Watch through the Member Zone please note this will be available later today, in line with the new benefit eligibility rules. We're aware there's an issue with the App & Member Zone and we're working on fixing this as a matter of urgency. We hope whatever’s causing the glitch will be fixed soon. And like always, we’ll keep you posted as and when that occurs.